As the Chair of the Committee on Research for the School of Medicine and Health Sciences, I want to introduce the committee, our members, and our charge on behalf of the SMHS community. 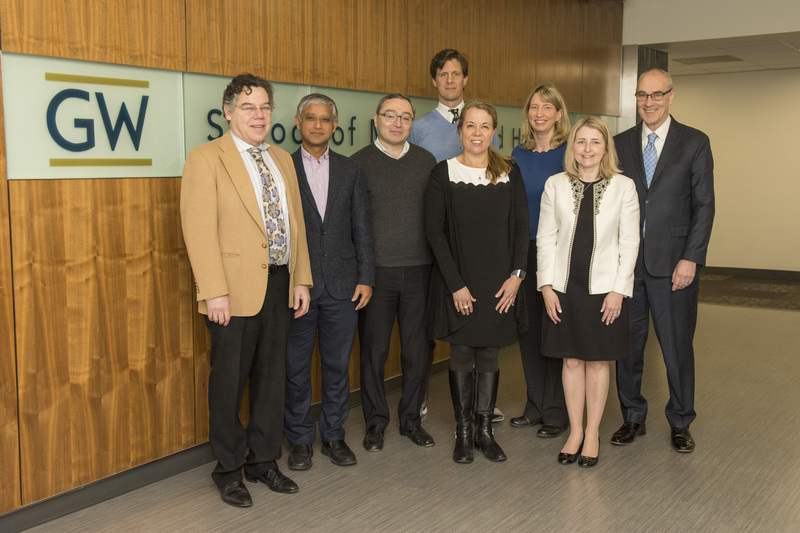 Research is a critical part of the 2015-2018 strategic plan for GW School of Medicine and Health Sciences, with goals to augment the research portfolio, advance translation, and accelerate growth. 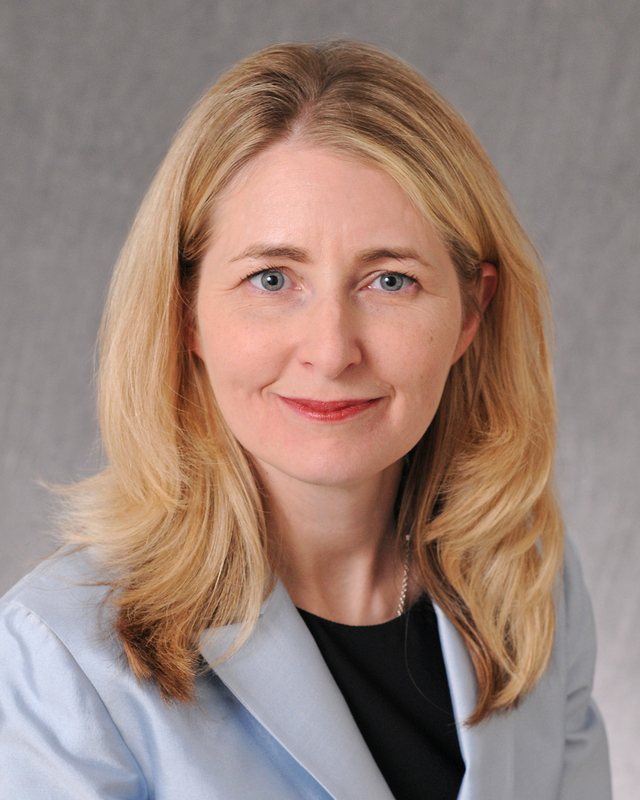 As our organization looks to the future, we know that supporting cutting edge research is vital to our goal of achieving preeminence as an academic health center, focused on advancing medicine and training the future medical workforce. Supporting this vision means investing resources to further the research mission and infrastructure and the Committee on Research assists the Dean with stewardship of this process. The Committee on Research is made up of researchers across the School of Medicine and Health Sciences. Stakeholders throughout the school are represented by members from the faculties in clinical, basic and health sciences. Our charge is to assist with development of policies and procedures to foster and promote research throughout the school, and to serve as an advisory body to the Dean on the allocation of fiscal and other resources in support of research. Our team additionally receives and reviews applications for intramural research support, and recommends faculty for awards in recognition of outstanding research activities. 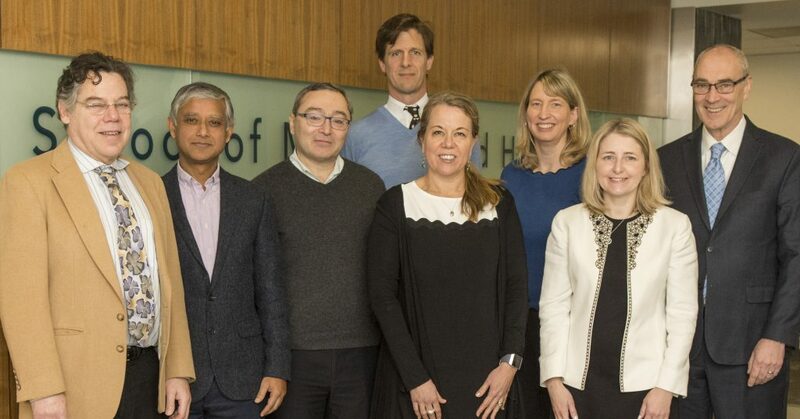 Research committee members in the photo are (from left to right): Mitchel Smith, Raja Mazumder, Michael Bukrinsky, Marc Siegel, Catherine Bollard, Tamara Ritsema, Victoria Shanmugam, and Bob Miller. Absent from the photo are Chiara Manzini, Matt Colonnese, Trudy Mallinson, and Jianqing Lin.